Now that you’re settled into the New Year, how about a little adventure to kick off 2019? There’s plenty to see and do in Southern California all year long, but we thought it might be fun to put together a road trip that will inspire you to explore SoCal’s great beauty. 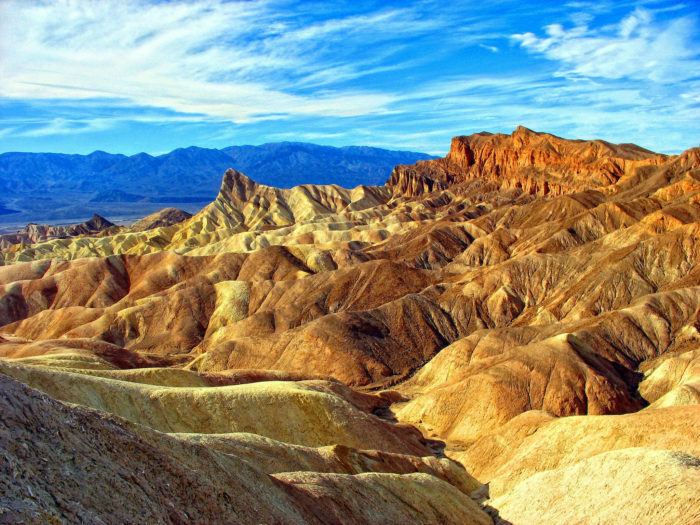 And nothing seems quite as intoxicating as taking a road trip to see the 7 wonders…of Southern California. Ready to see where we’re headed? 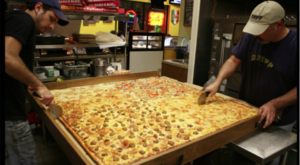 Pack your bags, fuel up the car, and get ready for a road trip to remember. If you love a road trip, then you're in store for one thrilling adventure. Please note, this isn't a quick one-day road trip. Plan out an entire weekend or longer for this adventure so you can really stop and enjoy each location. Especially when you reach the Channel Islands, as that is an adventure in and of itself. Pick and choose where you'd like to start the trip and take it from there. Just remember, the stop listed for Channel Islands National Park isn't your final destination as you'll have to board a boat to travel to the island. 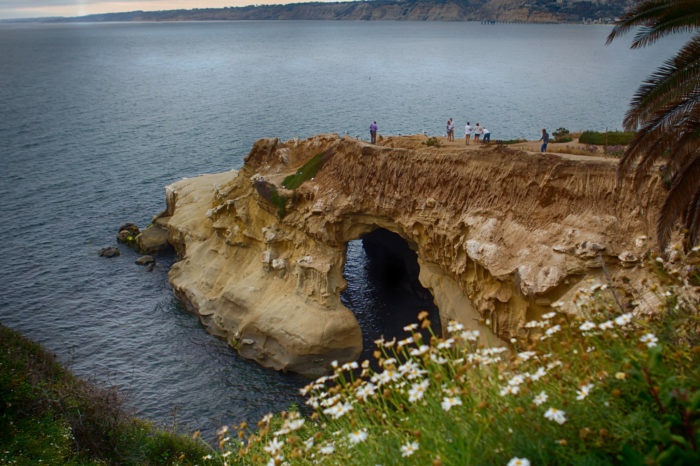 Here's an itinerary for this scenic road trip to the seven wonders of Southern California. 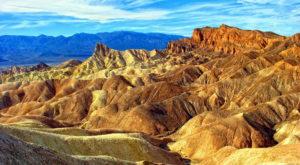 On this road trip you'll head to Death Valley where you'll get to see the awe-inspiring beauty of Zabriskie Point. Dating back millions of years from a lake that dried up over five-million years' ago, this natural wonder will make your jaw drop. 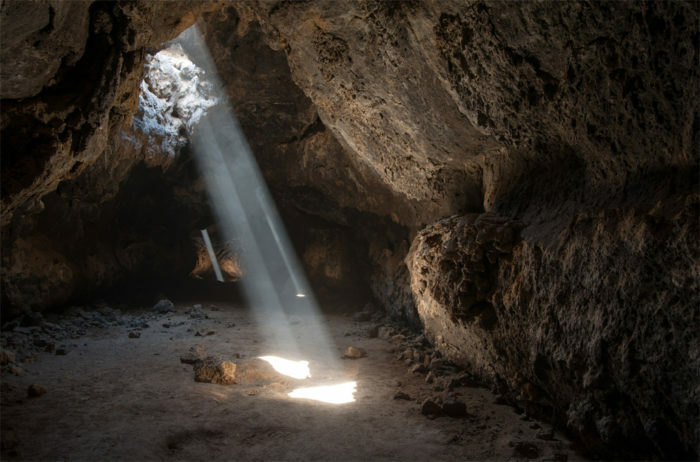 Time to head to the Mojave National Preserve to visit the spellbinding Lava Tube that can be experienced in the town of Baker, California. 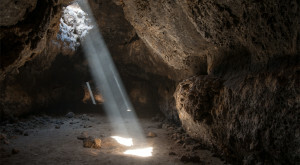 Show up at just right the time and you'll get to see a bright and shining ray of light shooting through the cave entrance. 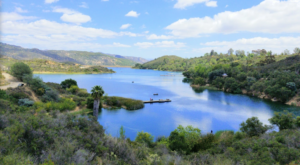 Reachable by a local hiking trail, you'll want to come prepared with comfortable shoes and plenty of water to visit this wondrous destination in SoCal. 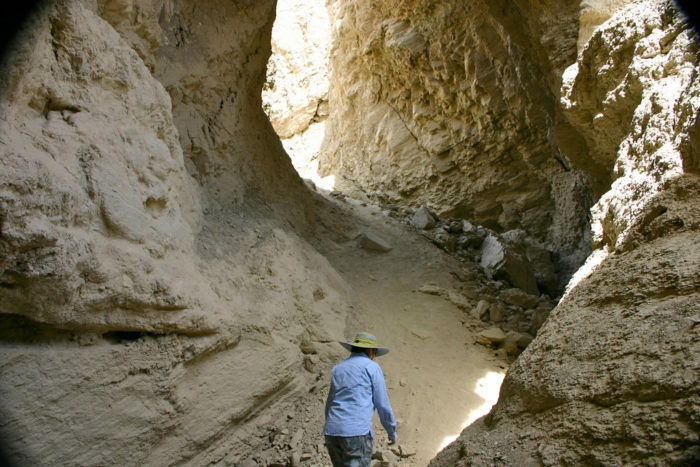 Located inside Anza-Borrego Desert State Park, you'll find the Arroyo Tapiado Carrizon Badlands Mud Caves which are made up of 9 slot canyons and 22 caves. 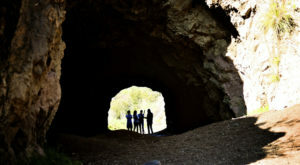 You'll want to take some time to explore this mesmerizing cave system, so make sure to pack some hiking boots for this incredible journey that will show you a side of SoCal you never even knew existed. SoCal may not be known for its waterfalls, but you better believe we have them, and some pretty good ones, too. 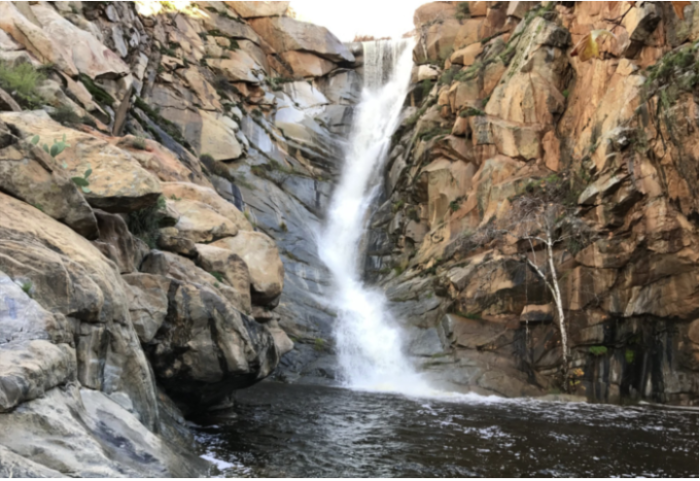 One of the most noteworthy waterfalls in Southern California is Cedar Creek Falls which has an 80-foot waterfall that is quite spectacular to see. 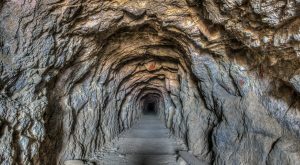 You can reach this beauty by taking a local hiking trail that starts at 15519 Thornbush Road in Ramona, CA. 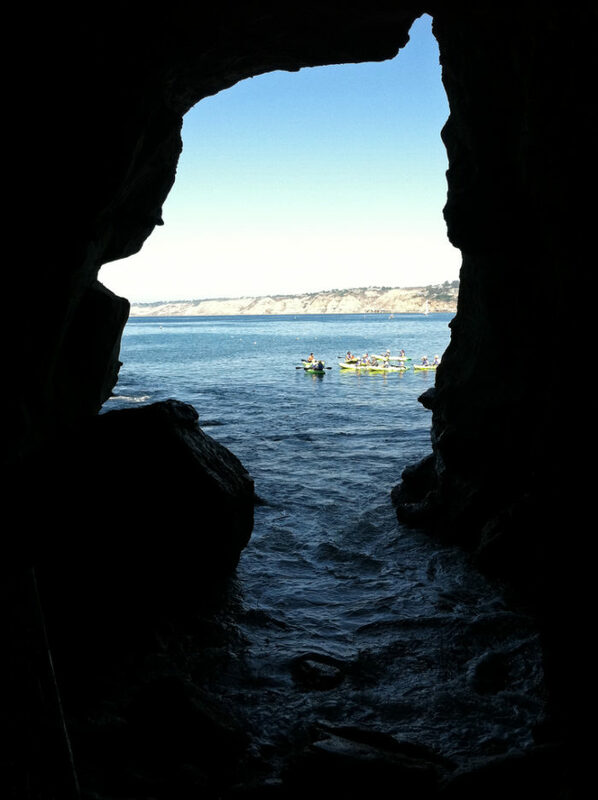 To reach this unique cave in SoCal, you'll want to head to the Cave Store in La Jolla at 1325 Coast Blvd, La Jolla, CA 92037. 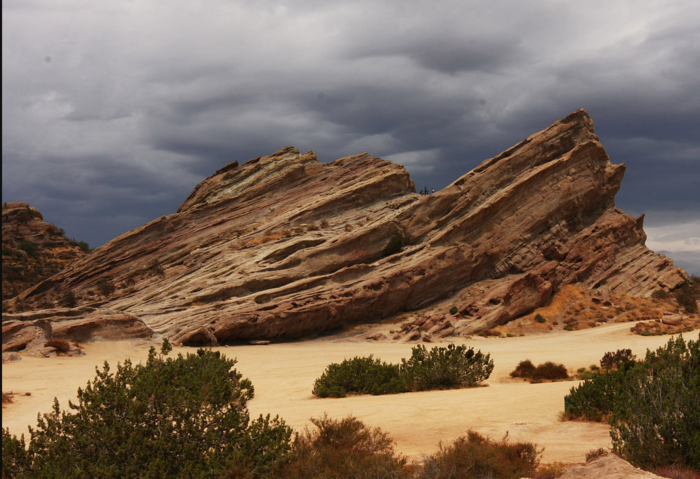 Located in the town of Agua Dulce, which translates to "Sweet Water" in Spanish, the Vasquez Rocks are an impressive rock formation that has been gracing this land for over 25 million years. Whether you show up for a quick snapshot or you want to climb the rocks for yourself, this is a fun adventure that will completely inspire you when you see it for yourself. 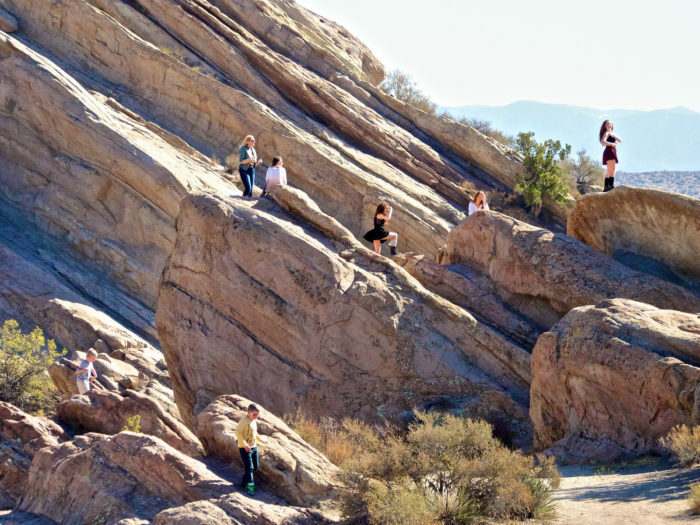 The Vasquez Rocks are located at 10700 West Escondido Canyon Road, Agua Dulce, CA. 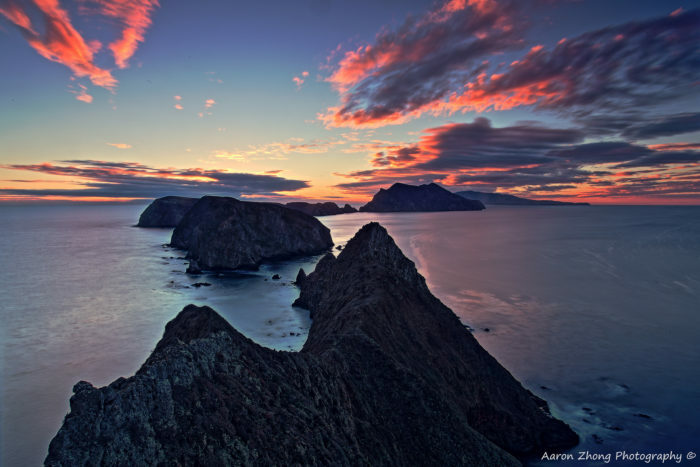 Southern California is home to Channel Islands National Park where you'll find eight of the channel islands on the U.S. coast. 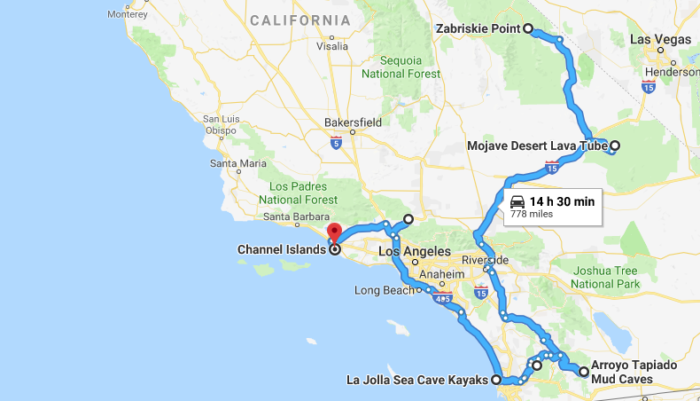 Although you're not able to reach the islands directly on this road trip, you can view them and board a charter boat to reach them from this destination in Oxnard, CA. Quite spectacular and mesmerizing to see in person, this is one wonder that could be experienced all by itself in an entire weekend. What do you think of this road trip? We think it’s the perfect way to kick off 2019. 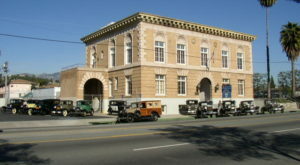 Looking for more road trips to experience in Southern California? 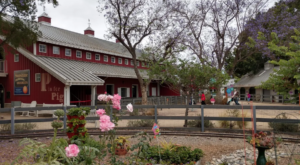 Then you may also like this quirky road trip that will take you to SoCal’s most unique roadside attractions.